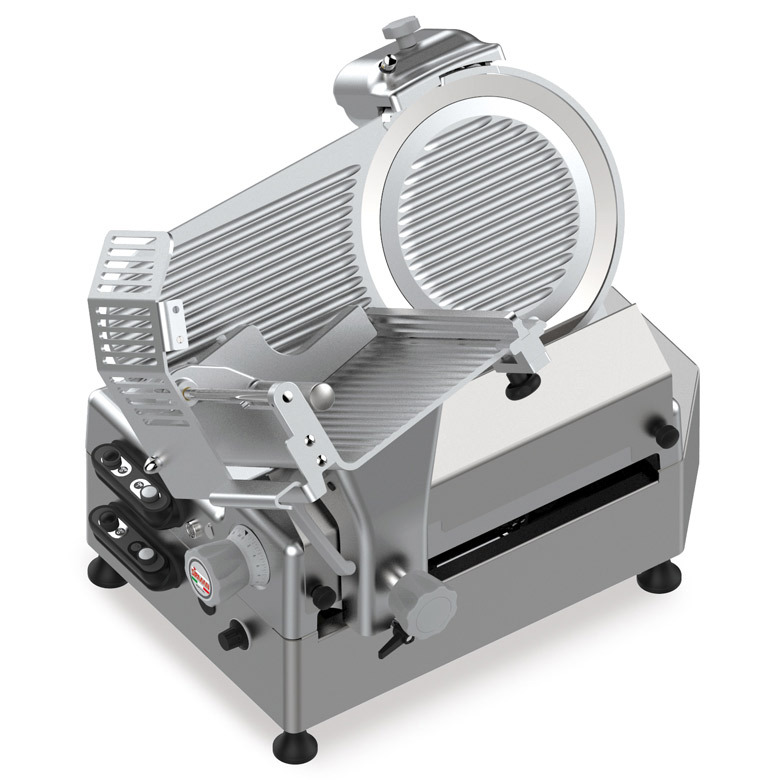 Slicer machine in stainless steel with a 300 mm blade. Ideal for cutting / slicing meat, hard cheeses and cutting products. Easy to reach switch arm that can be converted from automatic manual mode.